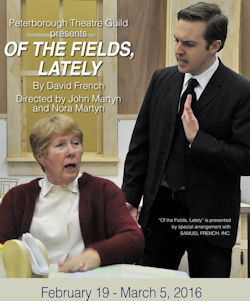 I've just learned that the venerable Peterborough Theatre Guild is producing Of The Fields, Lately this month, too. The show closes on March 5, so see it this week if you can! 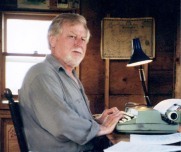 However, the show is the Guild's entry in the Eastern Ontario Drama League Festival, so if you miss it in March, you can see it at the Festival, which runs from April 5 to April 9. Of the Fields, Lately will be performed on April 5th. Here's a link to their website: Peterborough Theatre Guild.